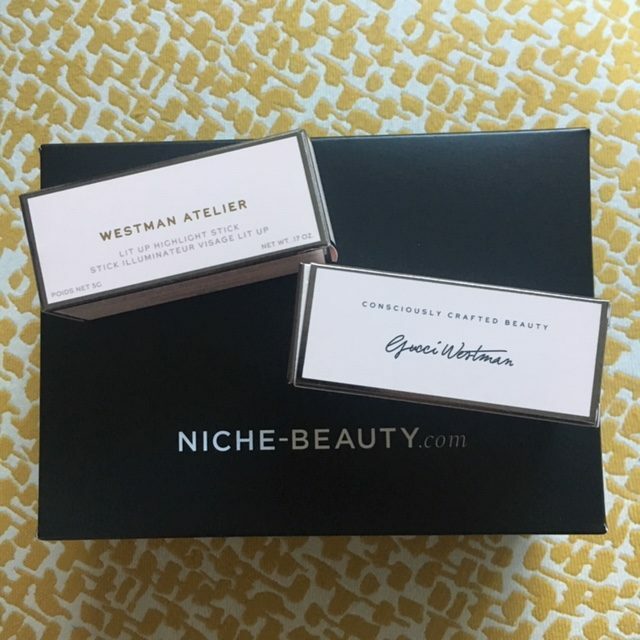 If you haven’t heard of Gucci Westman and her lightness of touch when it comes to make-up application technique, which helps create countless stunning editorials, then you most definitely will be intrigued by her debut make-up range Westman Atelier. And if you are familiar with her work with the likes of Jennifer Aniston, Reese Witherspoon & Julianne Moore and cosmetic giants like Revlon & Lancome, where she was global artistic director, then you will be as eager to get your hands your her products, as I was. 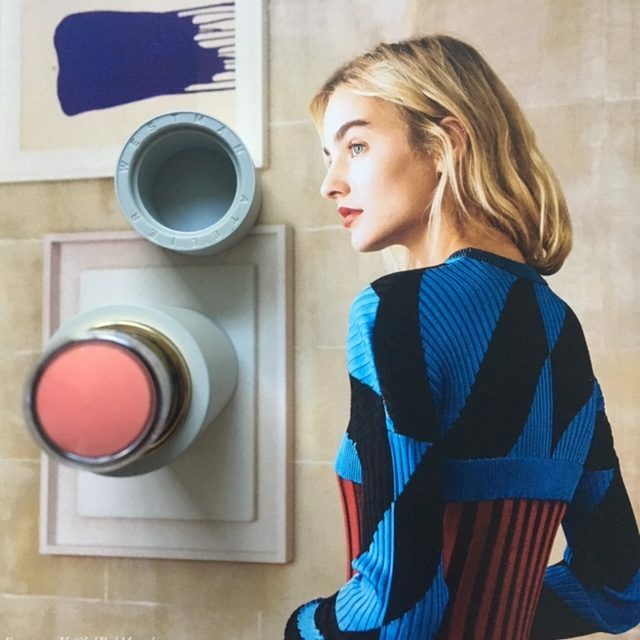 Launched towards the end of 2018, a line of blushers (in a creamy stick & powdered compact formats), brushes, bronzers, tinted highlighter and foundations, Gucci wanted to incorporate skincare benefits into the make-up products bearing her name and create something unique and not readily available in the already over-saturated beauty marketplace. Together with her husband, David Neville, who was the co-founder of fashion brand Rag & Bone, Gucci decided to focus on ‘conscious luxury’ and the price point of her products certainly fits into that category (my recent order from Niche Beauty, a German luxury beauty retailer which is currently Westman Atelier only European retailer), came just over 200 euros for four products at the till. Luxurious cream foundation rich in antioxidants and formulated with active ingredients to combat redness, calm irritation, even out complexion and boost moisture. With the very creamy texture that skin gratefully responds to when its cold outside, the foundation is easily blended with the tips of the fingers or with the brush, creating a natural finish & making the skin feel well-moisturised. It also boasts antioxidant & anti-inflammatory (as Gucci herself suffers from rosacea, this was a very important aspect that she wanted to tackle with the help of the formulator) benefits and comes in a practical ‘stick’. 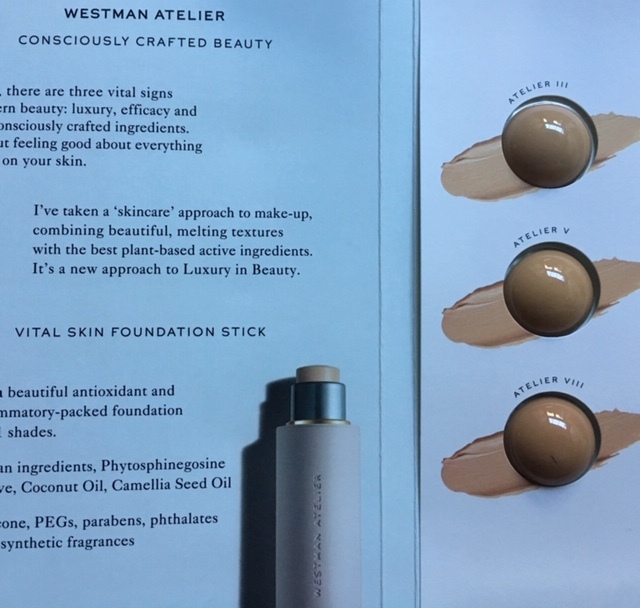 In the image below the shade is ‘Atelier III’ and it works perfectly, blending seamlessly into my slightly olive, but currently winter-pale skin. For the best way to apply the foundation, either check Gucci’s videos on brand’s website or via her personal Instagram, where she posts practical tips and mini videos to help guide you, as you get to know the products. She recommends that you apply it sparingly around the nose, lips and under the eyes, dabbing it in with the fingers. Having used it for about a week now, I can say that it works well both on top of serum, moisturiser or face oil, makes the skin look luminous, hides imperfections (I use the foundation as under eye concealer with good effect) & stays ‘put’ for a good few hours, without creasing. Vegetable Derived Squalane restores suppleness and flexibility to the skin with enhanced luminosity and radiance. Phytosphingosine, a potent skin-identical compound, helps skin conserve moisture and provides anti-inflammatory support, reducing the appearance of fine lines and targeting redness and inflammation specifically. Berry flux Vita, an active ingredient extracted from raspberry cells, was selected for its deep moisturising and youth-preserving properties. Camellia Seed Oil helps protect skin from environmental pollutants. Coconut Oil assists in rejuvenation of dehydrated skin. This silky, translucent gel-like highlighter imparts skin with radiance and even encourages collagen production. The iridescent undertone enhances skin’s own natural appearance and flatters all complexions, making it an very helpful tool in your make-up arsenal, when you need to perk up dull or tired skin in seconds. Gucci is a big fan of facials and likes how the skin looks straight after (when in London she sees gorgeous Anastasia Achilleas at The Lanesborough Club Spa) and when developing this particular product, she wanted it to help create the ”fresh-from-the-facial”, clear skin complexion. Have a look at her recent Instagram video, when she demonstrates it in action, after feeling unwell – the effect is indeed quite impressive when I use it too. Glide it onto tops of cheeks, cheekbones, cupid’s bow and tear ducts for subtle iridescence and clarity. Use this highlighter to refresh the skin when it feels dull or parched. Multipurpose color for cheeks, lips and lids. The creamy texture will melt into skin and is formulated with soothing & moisturising ingredients. It’s naturally effervescent and helps add a flush of build-able colour to the complexion. Vitis Vita Grape Extract that helps detoxify skin cells, while promoting the production of the skin’s own collagen and hyaluronic acid. According to Gucci, blush is like an accessory, which can be perfectly ‘matched’ to your mood and or the statement you want to make each day. And the choice of the shade also depends on how much color you want to see. Dab Baby Cheeks onto fingers and begin by applying to the middle of your cheekbone. Work around in an oval circumference, blending outward as you go. Pop onto lips for extra fullness and juiciness. I bought the ‘Minette’, a luminescent peach shade and it turned out to be a perfect one for my skin right now (I am not a huge fan of rose blushers, which only tends to ‘enhance’ redness which often makes an appearance during colder months of the year, when the skin becomes red and inflamed). Added organic jojoba oil helps to tone the skin, which is an added bonus and another is that the blush stays ‘put’, instead of melting or disappearing in oblivion within an hour of application, which many blushers tend to do. Full List of Ingredients: Caprylic/capric triglyceride, Kaolin, Caprylyl caprylate/caprate, Simmondsia chinensis (jojoba) seed oil, Polyethylene, Mica, Polyhydroxystearic acid, Lecithin, Behenylcarbamoylpropyl polysilsesquioxane, Tocopherol, Ascorbyl palmitate, Citric acid, Rubus idaeus leaf cell culture. This contour stick will sculpt and define your complexion, without interfering with other makeup. It boasts a soothing formulation that protects skin against environmental stressors, while ‘taupe’ undertone provides an effective, yet subtle effect. Start by building up and layering it to add depth and definition to your face & bone structure as desired. Organic Jojoba Oil, a natural antioxidant, will help tone and restore skin, while China Clay will absorb excess oil. Berryflux Vita, a potent active ingredient extracted from raspberry cells, was chosen for its deep moisturizing and youth-preserving properties. Interesting Fact: synthetic pigments that Gucci chose together with her formulator are encapsulated using cosmetic innovation called Biomimicry Technology, an antipollution skin shield, inspired by nature, that locks in hydration and guards against environmental impurities, while Biomimicry pigments mimic elements of the skin & help achieve vibrant colour. I start by sweeping it under cheekbones. Then, depending on the look I want to achieve, I build from subtle to dramatic. Dab on eyelids for depth and the sides of the nose to define. The cool undertones are perfect for sculpting. While Gucci isn’t the first make-up artist to start her own brand (make-up maestro’s Pat McGrath & Charlotte Tilbury have been both tremendously successful in the last couple of years with their namesake brands. Both have been experiencing unprecedented growth & popularity with both retailers and customers and probably inspiring the likes of Rhianna to venture into their own make-up creation too ), she certainly marches to her own beat. Brought up with appreciation of Eastern Philosophies & being vegetarian for many years, Gucci wanted to create products that would fit into ‘Conscious Luxury’ category. 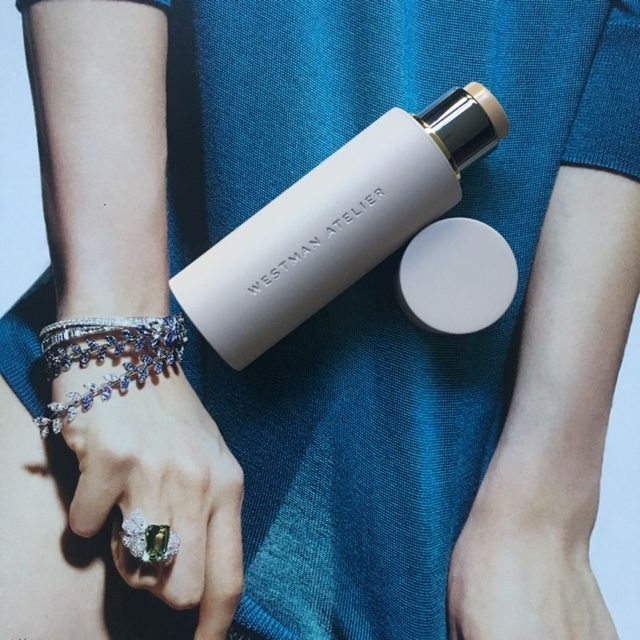 Westman Atelier packaging is extremely luxurious and clearly well thought out in terms of practicality. Each has its own colour shade, feels nicely heavy in the hand, when you apply the products & adding the necessary weight to stay in your hand for precision purposes. The lids are magnetic, so products won’t smudge in the depth of your make-up bag and each one looks very Instagrammable – a perfect marketing tool in itself. 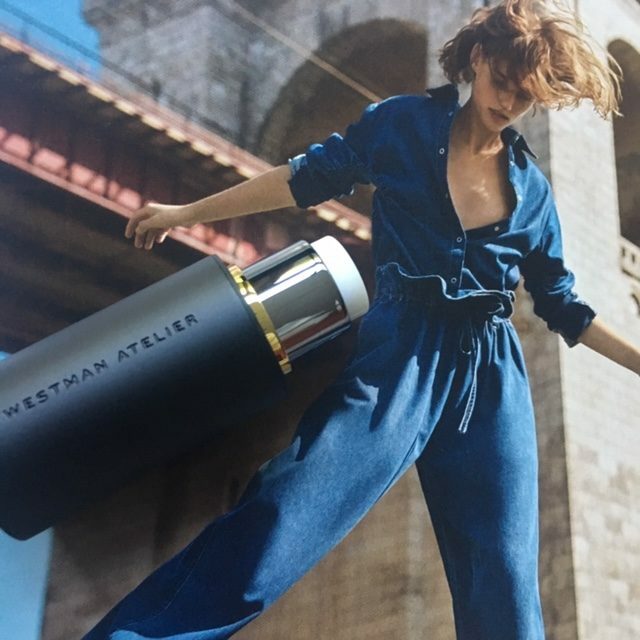 My question is, which of the UK retailers will be the quickest on the feet to snap up the exclusive stockist deal with Westman Atelier? After all, those products are chic hard-workers that will help women feel gorgeously good in their skin! 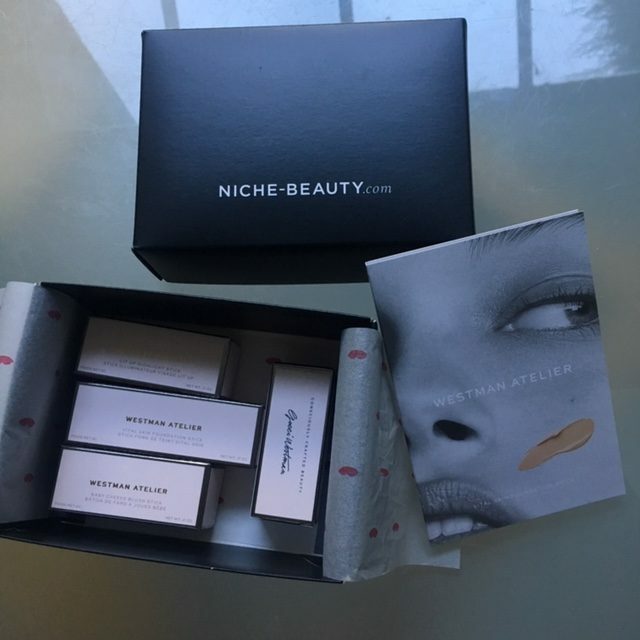 Westman Atelier is available in the US and in Europe via German luxury beauty website Niche Beauty, where at the moment you get a ‘free beauty deal’ with WA orders, a Vital Skin Foundation brochure with three shade samples, which is added automatically to your e-basket. 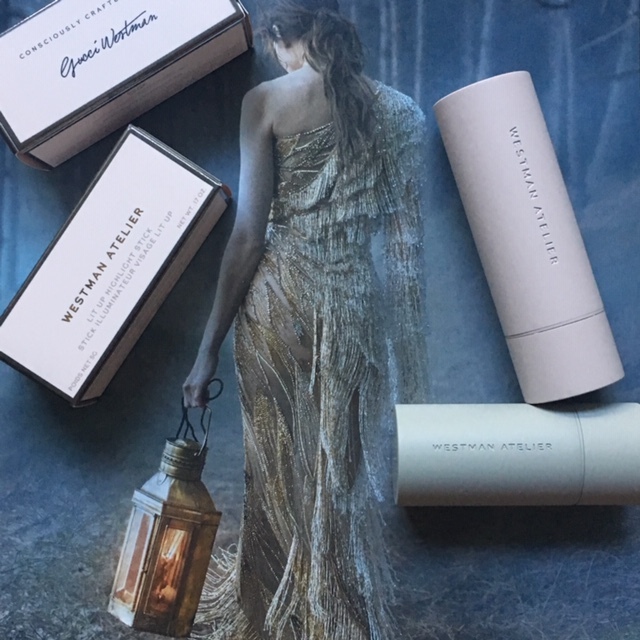 Westman Atelier products are Consciously Crafted & Not Tested On Animals. Please note that I don’t do affiliated links on my website & all four Westman Atelier products that are reviewed here were purchased by me.